The Williamston Christmas Park and Deck the Halls in the Municipal Center (Town Hall) are in full swing for the holiday season. Broken Spokes Wagon Service from Sandy Springs will be providing horse drawn carriage rides from Town Hall through the Christmas Park on weekends and during the weeks closer to Christmas from 5:30 pm to 9 pm and Sunday afternoons tentatively from 4 to 9pm. Santa will be in the Scout Hut from 6-9pm on Thursday-Sunday Dec 4-7; and Thursday thru Tuesday Dec 11-Dec 23. Professional photos will be available at a price. 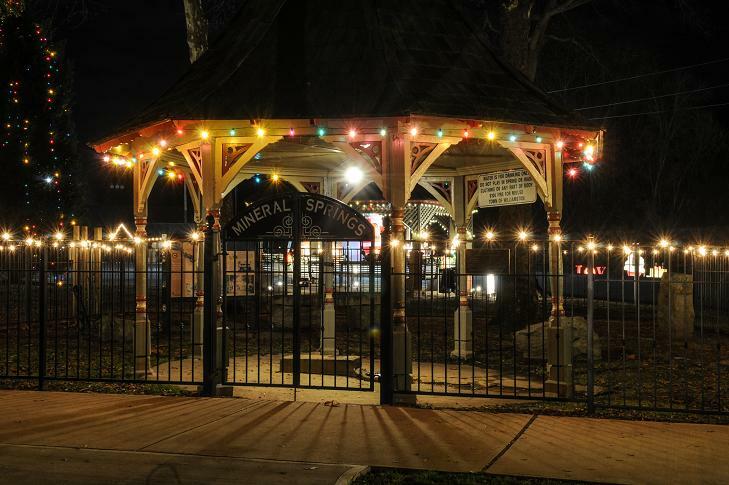 Opening night ceremony for lighting of the Christmas Park and Deck the Halls is Saturday, November 29 at 5:50 p.m. in Williamston’s Mineral Spring Park. Williamston Mayor Mack Durham, Pastor Jon Feusse of Midway Bible Church in Pelzer will participate. Santa will arrive around on Williamston Historic 1936 Fire Truck at 6 p.m.